Savannah is home to so many lodging options for every type of traveler. T.C. and I have a particular affinity for Savannah’s Bed and Breakfast scene. There are so many lovely ones to choose from, and we’ve listed some of our very favorites here for you! This magnificent mansion has a particularly fun history as Savannah’s first ever home to boast electricity! But honestly, it’s the French-Empire style architecture and stunning interior design that will brighten your day. (Pun intended - we couldn’t help ourselves.) The Hamilton-Turner Inn is a luxurious place to hang your hat while you experience the finest Savannah has to offer. Built in 1873 for the Hamilton family, this historic private residence-turned boutique hotel has been named among the top 25 small hotels in the country. The Ballastone Inn is a classic beauty. Known as Savannah’s “most distinguished inn,” The Ballastone offers up sixteen luxurious rooms, scrumptious delicacies, afternoon tea service, gorgeous amenities, and a stunning private courtyard. Antiques, historic reproductions, and designer upholstery throughout give the space a decidedly upscale vibe, while the guest rooms offer up cozy havens for relaxing after a long day of exploration. The Gastonian is truly a grand Savannah hotel. Situated in a residential area at the corner of Gaston and Lincoln Streets, the hotel offers a unique opportunity to experience life in Savannah from a more residential point of view. Forsyth park is just around the corner, as is the best of all downtown Savannah has to offer. Furnished with antiques and luxurious decor, the hotel is made up of two historic mansions joined as one. 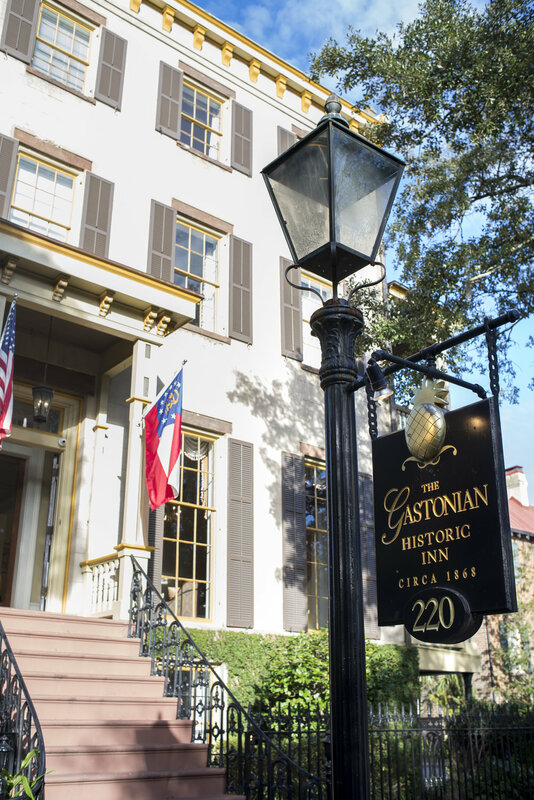 Voted one of the top 50 B&B’s in the World by Conde Nast, you really can’t go wrong with a stay at The Gastonian. The Eliza Thompson House holds a special place in our hearts. The concierge and staff are personable and accommodating. The appointments are resplendent. The location is glamorous (you really can’t beat staying on the famous residential Jones Street). We could go on and on. 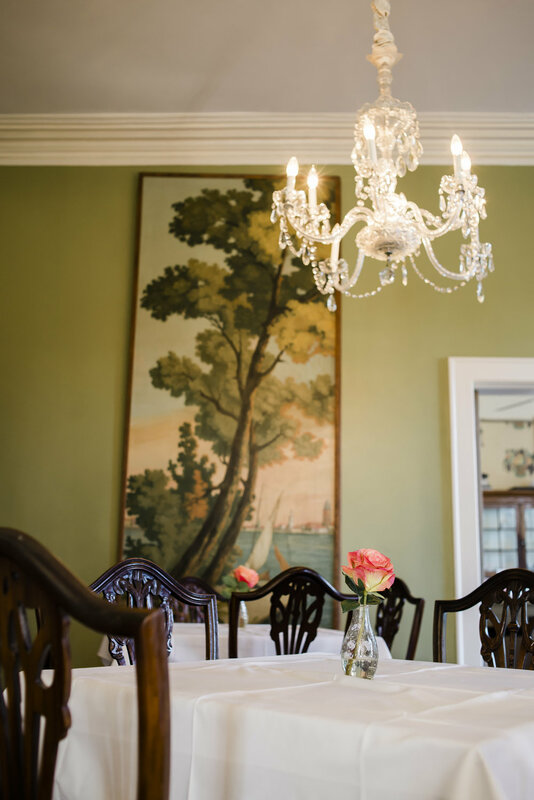 The house was originally built in 1847 and played host the Thompson family, as well as Savannah’s grand society, before becoming a boutique hotel in 1977. The Kehoe House is just one of those iconic Savannah locals you can’t help but see while on your trip to Savannah. But for those who get the pleasure of actually being a guest there - what a special treat! 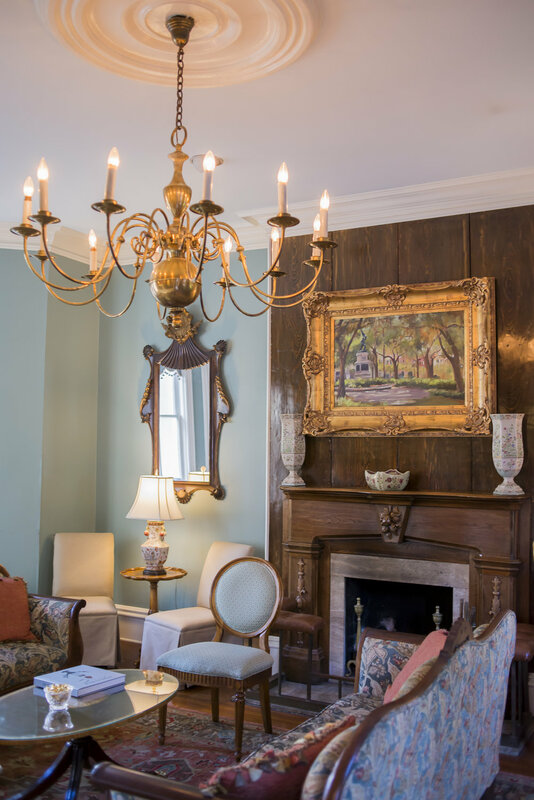 The Kehoe House has been named Savannah’s Best B&B again and again - and it’s no wonder between the attentive service, the stunning rooms, and parlors and guest quarters that invite you to take a little more time getting out the door in the morning.